growth. This Promotes flowering, in addition to reducing the risk of nutrient burn or lockout. The use or our super soils require little to no effort. Just purchase, plant your seeds and water. That’s it, nothing fancy involved. You don’t have to take the time to mix or wait or layer our super soil. 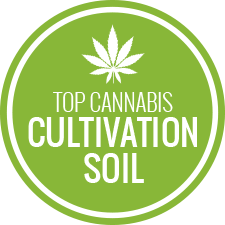 Our Ready-Mix Cannabis Super Soil needs no mixing or aging, just start your project. We do have Super Soil kits available also. After mixing the super soil kit, wet the soil, but do not soak. Cover the soil & occasionally turn during the cook period. No further effort is needed throughout the growing season. It is best to wait 4 to 6 weeks before planting super soil mix. You do not want to put new plants, seedlings, or young clones directly in enriched soil. Wait till plants are 3 to 6 weeks old. 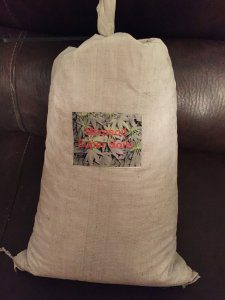 This recipe contains every trace element, nutrient, and amendment your plant will ever need. In conclusion this super soil releases nutrients at all the optimum times. 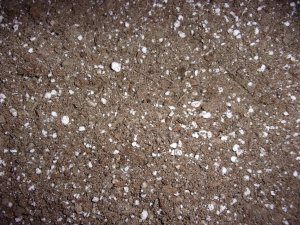 Our organic soil medium has all nitrogen, phosphorus, and potassium. These are necessary for early growth. They promote strong and healthy root systems in your plants. At mid-growth, our mixture releases lower phosphorus and high nitrogen, as well as moderate potassium. Finally for flowering, our growing soil release lower nitrogen. In addition to higher phosphorus and high potassium. All of this careful control results in far better flavor and aroma from your plants. Mixasoil is proven to produce tighter and larger bud sites. It's long-term release of potassium towards the end of flowering is what ensures the larger harvests. The dry molasses provides for better flavor and aroma. The proper amount of nutrients & amendments is very important. You need to have the nutrients supplied at the right growth stages. This is just what our super soil ready mix is designed to do. In addition this will assure that your end harvests are larger and more flavorful & aromatic. There is nothing better than to achieve end results that you have worked hard for. With our organic soils we have taken the steps to achieve a superior super soil product. After 30+ years of experimenting, trial, and error. We have finally come up with Premium Super Soils. These include Premixed and Aged Super Soil Mediums. Super Soil Mix Kits, Starter Soils, and re-amend kits. All of these now available to the public. Everyone deserves to have a good final medicinal or vegetable product. Above all, you want results after the hard work and money spent. We have lightened the load of work necessary. All this for your convenience and benefit! Now, your Kind Soil is mixed, aged and ready. All that's left to do is water through the life cycles of the plants. We recommend leaving the water out overnight to dissipate chlorine and chloramine. Just add small amounts of ascorbic acid (Vitamin C) to each gallon of water. We do not recommend reverse osmosis (RO) water. That removes too many needed minerals and magnesium. In addition it does not remove chloramine or chlorine. 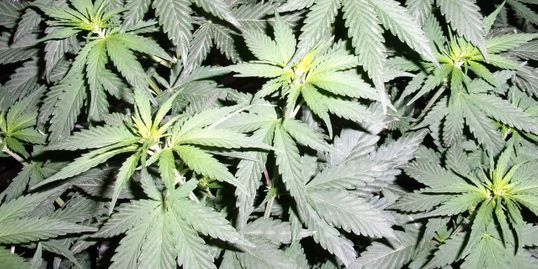 PH should be no problem as your plants grow. However water should be around 6.0 to 6.5 PH for the best results. Do not use liquid PH adjusters. Use citric acid for PH-down, and potassium carbonate for PH-up. The liquid adjusters will harm the existing micro-organisms. In essence the super soil will no longer be all-organic. Local pick up has lower pricing. Contact us for local pricing.